It was fantastic to see our Jalama Valley Beans show up in the Martha Stewart Living Magazine October Issue as an "Editor's Pick". If you are interested in trying some you can get them here. 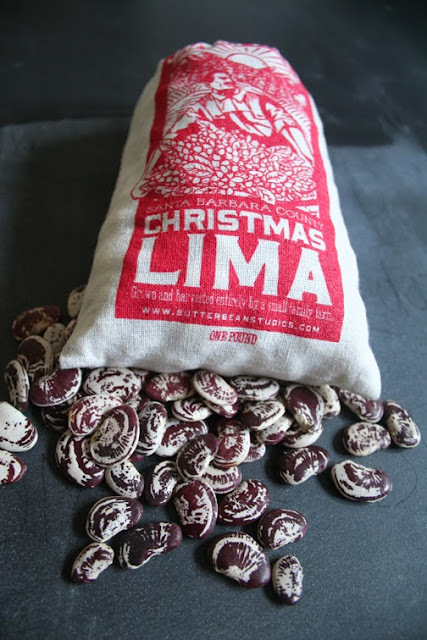 I am a graphic designer and created the packaging for the beans. (That is my husband drawn into the artwork). For more information about my graphic design business and our bean and honey business you can follow Butterbean Studios here. A bit of farmstand news. 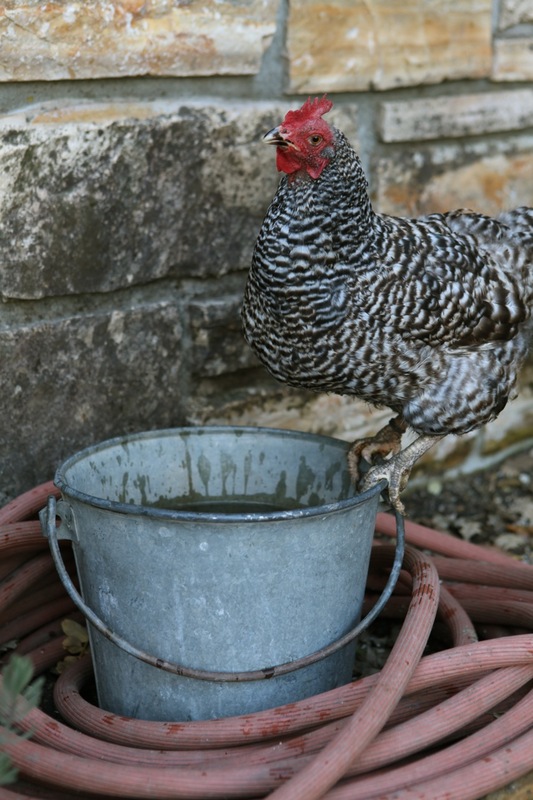 This year we are not going to have the farmstand every weekend as we have the past few years. We will be open occasionally with some items like eggs and pumpkins but mostly we are taking our stand on the road to special events and gatherings. This has been a busy time for all so we will update the blog when we can and will post where and when we will be open. You can continue to buy beans and honey from Erin right here at her Etsy shop. And check back soon for info on where to buy Carla and Grace's small batch organic jams and pickles. 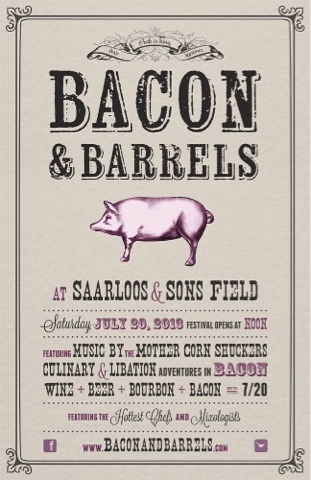 We will be at the Los Olivos Bacon & Barrels event on July 20th, so be sure to come by and stock up for summer! Thanks for all your support and hope to see you soon! My daughter picked out her pig for 4-H last week. He has a roommate to bunk with this year and seems to be enjoying the company. For the next 4 months Anna and her friend from school (who can't keep a pig in her own townie backyard) will feed, brush, clean, walk and train these little Yorkshire barrows to Grand Champion status. 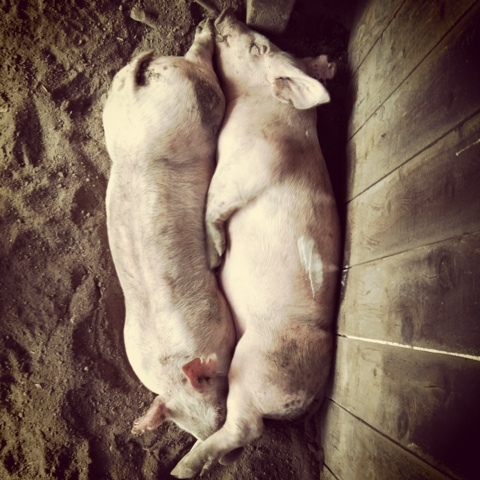 In July they will show them at the Santa Barbara County Fair and hopefully come home with a ribbon or two and some memories and sensibility about where their food comes from that they didn't have before. 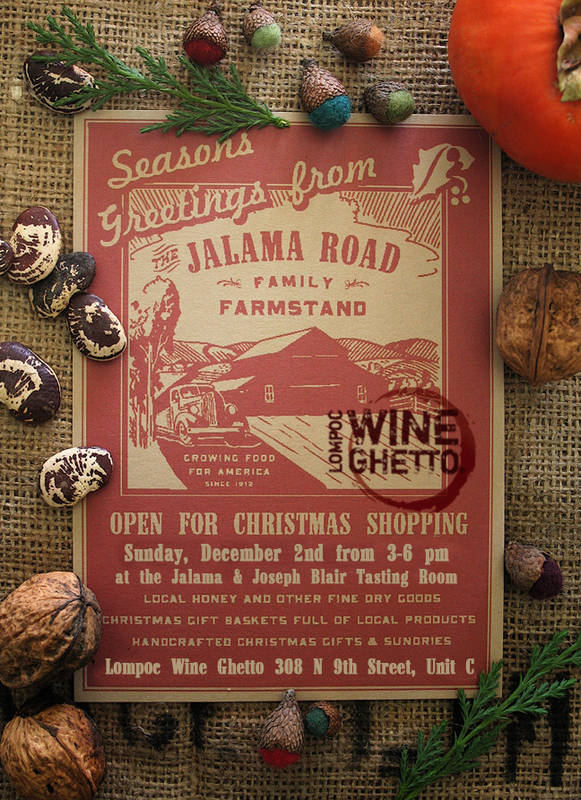 Join us this Sunday, December 2, from 3 to 6 pm in the Lompoc Wine Ghetto where our friends and neighbors at the Jalama Wines Tasting Room, along with some other tasting rooms, will be open for a special holiday winter wine experience. 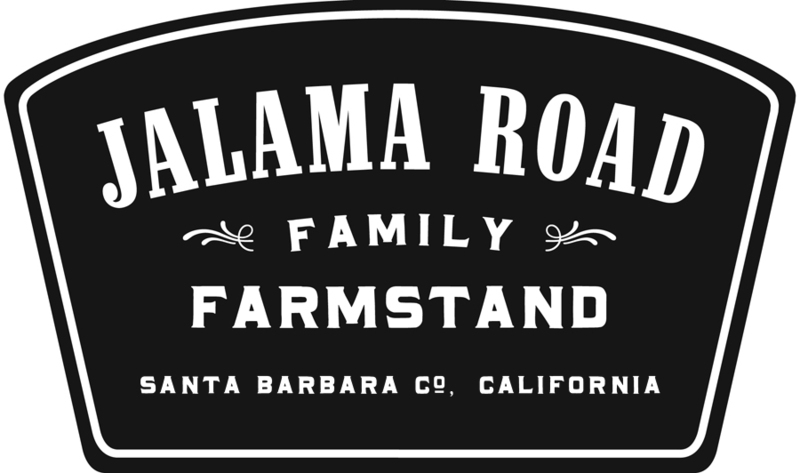 The Jalama Road Family Farmstand will have a table full of our larder goods for sale, such as our honey, beans, jams, pickles and gift baskets. We will also have some Butterbean Studios letterpressed cards, candles and handmade purses. Hope to see you there! Christmas from the stand ...in a box. Looking for something they surely don't have yet? 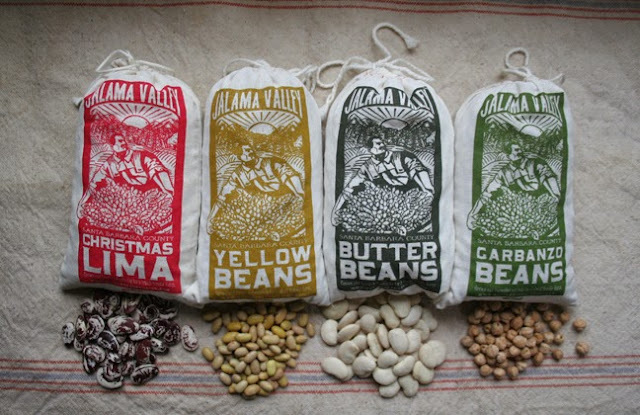 Our homemade, homegrown, local items from the Jalama Road Family Farmstand is a great gift for a friend, teacher, boss, neighbor or even for yourself. We have figured out how to pack up this pretty little combination of goods from our stand into an efficient little box and ship it directly to your friends and family anywhere in the United States this year. There is a gift card included on which we can write a message for you if you'd like. We can also skip the shipping and set up a pick up time if you are local. one pound of raw honey and one letterpressed note card with your personal message on it. (Just send us a note with the personal message you would like to include and I will use my best handwriting I swear!). And finally, the box also includes a handful of walnuts or chestnuts that also double as a great packaging material. The price is $57 including shipping. And if we don't see you this winter please have a Merry Christmas!! Purchase some of our products here. or at the Butterbean Studios shop here.